Education is very necessary in today’s world. A lot of them do not understand the need for higher education to build a career. Apart from building a career, education is important for the social and mental growth of a student. The role education plays in the 21st century has a big part in other aspects of student life, like improving the overall quality of life, health, and having more opportunities reach out to him/ her. Amongst the world’s population, Americans are the people who understand to importance of higher education than anybody else. About 84 percent of Americans feel that higher education is important. Apart from the curriculum of higher education, there is a lot more to be learned. The skills that are taught at the higher education level cannot be learned from secondary education. Along with the lectures that are taught in class the student will be able to gain additional skills like thinking out-of-box, analyzing, exploring creative knowledge, etc. This will help students to carry themselves with dignity and succeed with confidence when they enter the industrial world. In some domains, it is very important to excel in such skills because, in today’s competitive world, everyone will have domain knowledge but to stand apart such additional skills are required. Realization of Passion – The majority of students who belong to today’s youth are driven by their dreams and passion. Often students want to undertake higher education because of the need to gain more knowledge about their area of interest. Greater Sense of Discipline – It is obvious that along with the syllabus the students are taught about the discipline and conduct to be maintained in the industry even before the student has industry exposure. This is one big advantage of higher education. 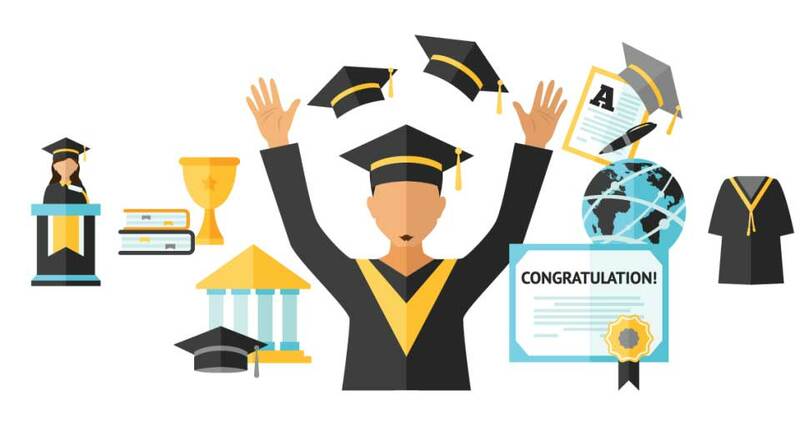 A sense of Accomplishment – Higher education is one way of certifying the student as more knowledgeable. Most of them pursue higher education for the self-satisfaction of being highly certified. Social Involvement – Greatest exposure to different kind of people is possible only when the student enters a university and engage in social activities. Social interaction can also help in developing the communication skills of the students. Economy and Health – Knowledge about maintaining health and well-being can also be gained by higher education. Career growth is possible through higher education and makes way for more financial income. Studies show that an average student who pursues professional degrees can earn up 6-7 times more than a student who has finished higher secondary education and is working. One main reason for not pursuing higher education is the financial status of the student. Most of the students drop out after their pre-university education because of not being able to afford the education cost. There are several government and organizational aids that support the education of financially backward students. The opportunities that knock the door of students after their higher education is very immense and helps them grow in a wider scale in their respective domains. Improvement in skills leads to improvement in the standards of living and well-being. Most of the students in today’s world are often confused about what domain to take up for higher studies and where to pursue it. This might lead a student to pursue a course which is not of his/ her interest which in turn leads to an inefficient career of the student. To overcome such conditions there are many online websites which provide real-time information to the students that help them in choosing among various courses and colleges. Some of the websites that provide such information in India are Getmyuni, CollegeDuniya, etc. Apart from providing legitimate information about educational resources, these websites also offer online counseling facilities to students which makes it much easier for them to decide on their higher studies. Higher education undoubtedly leads to a better career and living with a wide range of advantages it offers.